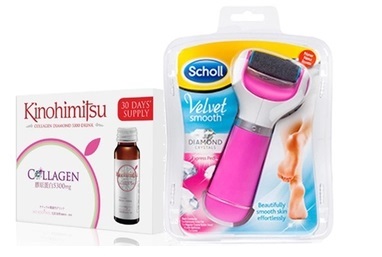 Kinohimitsu Collagen Drink Diamond 5300 + Scholl Velvet Smooth Express Pedi Foot | ! *•❤•Blog Shiqin Sunshine*•❤• ! Kinohimitsu Collagen Drink Diamond 5300 + Scholl Velvet Smooth Express Pedi Foot | ! *•❤•Blog Shiqin Sunshine*•❤• ! Do you know? “Ki no himitsu” literally means “secret of the trees”. Made with traditional Japanese recipe using natural ingredients gather from the lush bamboo flaunted forest. The Kinohimitsu health products range boost your health and vitality without harmful chemical side effects. 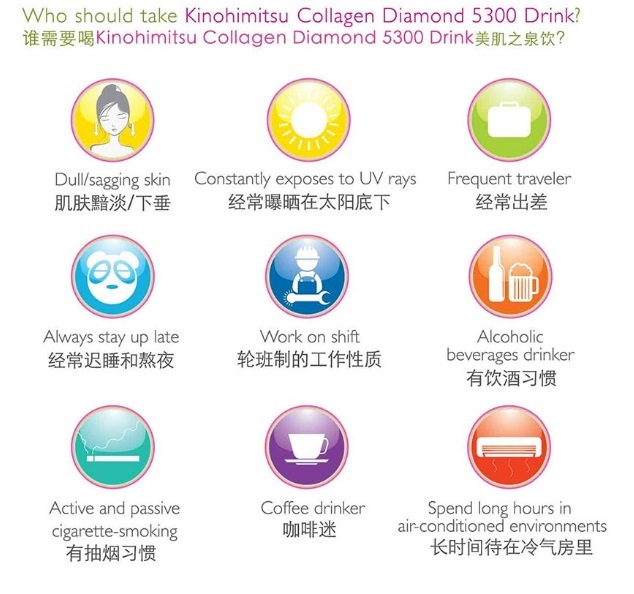 WHY YOU SHOULD DRINK KINOHIMITSU COLLAGEN DIAMOND 5300 DRINK? Young Beautiful Glow in Just 6 Days! 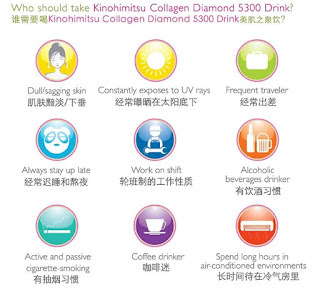 The Kinohimitsu Collagen Diamond 5300 Drink is specifically designed for mature skin to restore its youthfulness, resilience and radiance. Collagen Peptide has a shorter molecular structure and easily absorbed by our skin. This delicious beauty concoction packed with high beneficially collagen boost the skin smoothness for a firmer, younger looking skin. It tighten skin pore to reduce fine lines. Plus this beauty drink also strengthens hair and nails to keep them strong and healthy. 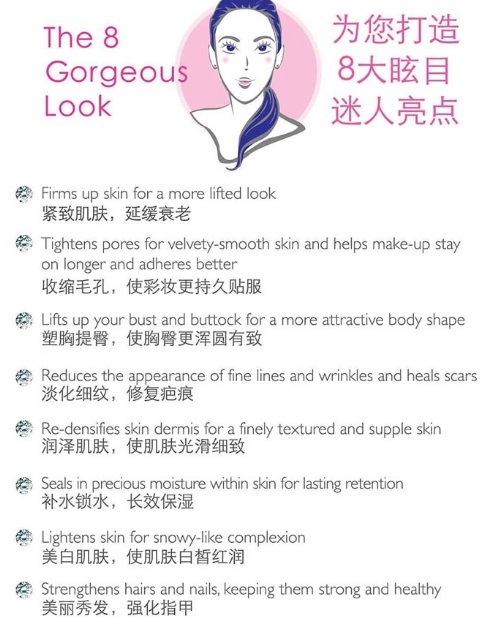 The delicious Kinohimitsu Collagen Diamond 5300 Drink is made of collagen, perilla seed extract, silk protein and soy isoflavone. To boost up its delightful flavour, this concoction is added with the tasty fruity condensed juice of apple, lemon and lychee. Free of additives and preservatives, the Kinohimitsu ingredients are nature based and suitable for vegetarians. So, dreaming of having smooth, soft and beautiful feet? The NEW Scholl Velvet Smooth Express Pedi with Diamond Crystals is filled with finely ground diamond particles to give you improved and more efficient hard skin removal results. 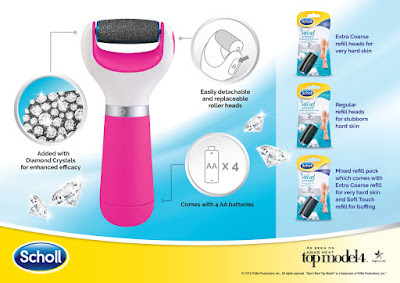 Experience wonderfully soft, smooth and beautiful feet in a instant!